It is always a delight to find a new author of suspense thrillers that I can follow. So I am quite happy to say that Jeremy Burns is now on that list. Especially if the book features Wayne Wilkins. The Dubai Betrayal is a fascinating story you won’t want to miss. Wayne Wilkins, first a Ranger, then a CIA Assassin, has an urgent new assignment. After all the years of operating on his own, nearly invisible, he is to head up the unit assigned to rescue a kidnapped ambassador in the Middle East. With her rescue will come shocking information she received right before her flight. That is, if they rescue her before she is killed. Wilkins’ specially selected team include a tech expert, a weapons and middle east expert, plus one woman who remains in DC–at her desk 24/7–to receive or provide information. That’s it. Exciting, fast paced, from start to finish, the novel kept me engaged right to the finish. The kidnapped Ambassador, several terrorist factions, even a Middle East mercenary group that rivals Blackwater. One of them has a nuclear bomb. Their goal? Destruction, of course. It’s probably no surprise that Israel would be a part of it, but it appears to go further than that. Will they destroy America as well? Who is behind it? Iran? Iraq? Another middle eastern nation? This is what Wilkins learns soon after starting their mission to find the ambassador. Now it isnt simply a matter of rescue. Now they must also stop a nuclear attack. Can the three of them on the ground in Dubai accomplish that? Many apt descriptions come to mind about the book. Fast paced–both of which keep you reading longer than planned! Mr. Burns includes enough background and history of Iran and the other important players in the Middle East. It’s the right about detail without bogging down the story. The details and descriptions from the setting in Dubai to the difficult circumstances the ambassador faces are effective. Filled with action that includes dangerous chases to deadly explosions, right up to the tension filled ending. Who will remain standing when the story ends? His first novel, From the Ashes received high praise. I can see this book will be as well. He’s put together an all too believable plot that will make you hope we actually have a Wayne Wilkins on staff somewhere in our government. Nicely done, Mr. Burns! I’ll definitely look forward to more from Mr. Burns. I’ll be watching his name. Highly recommended! During a desperate attempt to rally support for a controversial Middle Eastern peace summit, U.S. Ambassador Christine Needham is kidnapped on an unauthorized visit to Dubai. Forced to walk a thin line between diplomacy and effectiveness, President James Talquin assembles a new covert team, helmed by black ops veteran Wayne Wilkins, to rescue the ambassador before she is executed by terrorists. But the ambassador is in possession of a dangerous secret, one that, if not recovered in time, could lead to the most devastating terror attack in history. Now Wayne and his team are on a collision course with unseen forces that seem to be manipulating world powers toward a devastating conclusion. With a nuclear apocalypse just hours away, the operatives must confront a new kind of jihad, one that breaks all the rules of warfare and terrorism. But all of the players may not be what they seem, and with no one left to trust, the newly founded team must lean on each other to navigate the glittering heights and hidden depths of one of the world’s most fascinating cities and infiltrate a centuries-old shadow war raging within Islam itself. As the twists and betrayals mount, it soon becomes clear that unless Wayne and his men can recover the ambassador and the secret she holds in time, the terrorists’ enigmatic paymaster may get exactly what he wants: an all-consuming world war from which America and her allies would never recover. Rick Weiland floored the accelerator as the looming hulk of the tractor-trailer bore down on the diplomatic car. Ben Rosen, the other personal-protection agent, rode shotgun. In the back seat, Christine Needham, special ambassador for Middle Eastern affairs, had been mulling over the gravity of going against the president’s orders, when the impromptu car chase derailed her thoughts. Dan Krumholtz, her assistant, continued to format notes from the morning’s meeting on his MacBook from the seat beside her. Traffic in Cairo was a nightmare, and Christine couldn’t wait to get back stateside, if only for a week or so. Just a few days before, she had been in Tel Aviv, and though the infrastructure had been much better there, attacks on the city had caused enough chaos to fracture that orderly façade. Hamas had fired a series of rockets into the outskirts of the Israeli capital from the Gaza Strip hundreds of miles to the south, one of which had slipped through the nation’s famed Iron Dome missile defense system and hit a primary school, killing twelve. Long-range rockets, the sort that Hamas didn’t usually have access to, which meant another regional power, perhaps Iran or Egypt, was supplying them. Egyptian President Faraj al-Qassim had denied any involvement in Hamas’s newfound armaments, both publicly and to Ambassador Needham’s face, but then, of course he would, whether he was involved or not. Politics in the region was full of duplicitous moves and countermoves, with a thousand sub-alliances shifting and shaking on a daily basis. Public perception, power, and what you could get away with often held more sway than integrity, the truth, or the public good. Kind of like Washington, Christine mused. Despite the difficult nature of negotiating with many of the leaders in the Middle East, she had been sent here for a purpose, and she wasn’t going to let a few egotistical, compulsive liars get in the way. And though she was a woman in a part of the world where testosterone reigned supreme, she had the chops and experience to succeed where her male counterparts had failed. Or so she hoped. Israeli Prime Minister Elijah Shihmanter was livid at the attacks on his capital city and was proposing the building of more housing developments in Gaza Strip to more fully colonize the occupied territory. The violence was escalating daily, and international opinion was steadily turning in the Palestinians’ favor, despite the recent aggression against Israeli civilian targets. Beyond the Palestinian question lay a pair of even more far-reaching issues: regional terrorism and a nascent nuclear arms race. From Syria to ISIS to Iran to Yemen, the Middle East was a powder keg threatening to consume the lives of millions and—considering the resources that came from the region and the global nature of the modern-day economy—the livelihoods of billions more. This was her area of expertise. After spending the bulk of the so-called War on Terror helming a Washington-based think tank that the previous two administrations had used for insights into the fractious and turbulent world of the Middle East, she had been tapped as a special envoy by the current president, giving her the position of special ambassador for Middle Eastern affairs. Fending off critics decrying the appointment as vaguely nepotistic, owing to the close relationship he and her father had shared during their long senatorial career, President James Talquin had created the position to deal with the increasingly important—and increasingly volatile—region with fresh insight and understanding. Having lived in the region, as a military kid whose family was stationed throughout the region during the seventies and eighties, and as a Peace Corps worker during the early nineties, she had grown to love the region and its people. For much of the Clinton era, she had served as a business consultant for several corporations looking to expand into the region, while also serving as a consultant for the Senate Committee on Foreign Relations, over which her late father had presided. Then the towers fell, and the world changed. The region that had long been near and dear to her heart, from Israel to Iraq to Iran and back again, was suddenly thrust into the spotlight again. Not since Desert Storm a decade earlier had the general populace cared a lick about what happened in the Middle East, except to the point where it affected their oil prices. Now the region was on everybody’s radar, but for all the wrong reasons. She founded the Lawrence Institute for Middle Eastern Studies, named after British diplomat and archeologist T. E. Lawrence, popularly known as Lawrence of Arabia. Though the parallel only held up so far, she appreciated Lawrence’s ability to befriend and live among the Arabs, even while he ultimately sought his own nation’s best interests. Through the Lawrence Institute, Christine sought to bring some of that much-needed understanding to policymakers in Washington who were now laser-focused on the Middle East, many for the first time in their lives. Though not all of her recommendations were heeded—the Lawrence Institute, after all, was hardly the only think tank offering advice on the subject—there were quite a few key strategic victories in both the War on Terror and on rebuilding foreign relations in the region that stemmed from her advice. President Talquin, having campaigned against the warmongering proclivities and the apologetic weakness of previous administrations, had brought Christine on board to help steer a new path in the Middle East. Though he had plenty of real-world experience and was a decade her senior, Christine still felt he was a bit starry-eyed and overly optimistic when it came to achieving a lasting peace in the region. People had been splitting into groups and killing each other for the reason du jour since Adam and Eve were kicked out of the Garden, and she didn’t foresee any outsider-initiated agreement changing that. In fact, considering how polarized and fractious many of the religious, ethnic, and political groups had become, she doubted even the ability of a native Arab or Muslim to make that change from within. And yet, some peace was better than full-scale terror and anarchy, so she was determined to do her best for the administration. That was why she was making this unauthorized visit to Dubai. Her direct supervisor, Secretary of State Lyle Molina, had been working behind the scenes with state leaders across the Middle East to reach some sort of lasting peace agreement on Israel. A comprehensive, long-lasting peace that not only answered the decades-old Palestinian question, but also provided for a universal recognition of Israel’s right to exist. Needless to say, it wasn’t an easy task and had met heavy resistance from camps in the Middle East, Israel, and even at home in the US. One party that wanted nothing to do with the prospective peace deal currently being floated was Sheikh Abdelrahman bin Rashid al-Futaim, president of the oil-rich United Arab Emirates. The country, like most in the region, currently did not officially recognize Israel, but rather saw the Jewish nation as an illegal occupier of Palestinian lands. The West-friendly UAE hadn’t called for the complete eradication of Israel or held Holocaust denial conferences as had their Persian neighbors to the north, but its policies and viewpoints were decidedly hostile to Israel nonetheless. With Needham’s strategic insight, Molina had succeeded in bringing several previously anti-Israel nations on board with the administration’s plan, most notably the new regime in Iraq and a hesitant but influential Saudi Arabia. Pundits had speculated that it had been the anti-terrorism and the anti-nuclear elements of the three-pronged approach to the talks that had appealed to most of the parties, as the twin specters of ISIS and a nuclear-armed Iran posed more of a real threat to their homelands than the existence of Israel. Many key holdouts still persisted, though, including Iran, Syria, Lebanon, and the United Arab Emirates. Iran had obvious objections to both the Israel and nuclear element, and, as they were key supporters of myriad paramilitary groups throughout the region that the US considered terrorists, they were unlikely to see eye to eye on any of the three components in the near future. Talquin, Molina, and Needham hoped that, by bringing most of the rest of the region in on the talks, Iran would be forced to choose between considering the offer or risking even further isolation from its neighbors. Syria was entrenched in its own endless civil war, while Lebanon counted anti-Israel Hezbollah members among its parliament and would be hesitant to make a move hostile to a small but powerful minority within their community. Plus, neither nation had forgotten decades of war and hostility with their Jewish neighbors. But while there wasn’t much Needham could do about resistance from Iran, Syria, or Lebanon, she might be able to exert some influence in the United Arab Emirates. She was a woman, with Jewish ancestry on her mother’s side. This normally would have presented two strikes against her abilities as a front-line negotiator in most of the Middle East, which was a key reason for taking a mostly advisory role during her brief but important tenure under Talquin’s administration. But her bargaining chip in Dubai was something that only she could bring to the table: her late father. George Needham had been heavily invested in Middle Eastern oil from the sixties through the nineties, and he had maintained relationships with some of the key figures in the Arabian Peninsula until his death in 2010. One of the men he had been particularly close to was Sheikh Khalid bin Rashid al-Futaim, head of the emirate of Dubai and second in command to Sheikh Abdelrahman himself. It also didn’t hurt—the United Arab Emirates being an absolute monarchy— that Khalid was Abdelrahman’s brother. If she could convince Khalid of the benefits of greater, region-wide stability stemming from a comprehensive peace deal, then maybe he could convince Abdelrahman. And if Abdelrahman was on board, the rest of the Emirati sheikhs would likely follow. Getting another Islamic nation on board could be just the momentum shift the peace accords needed. Molina had rebuffed her plan, as had President James Talquin when Needham ignored her boss’s admonition and asked the commander in chief directly. If word got out of her subterfuge, they argued, and, even worse, if Sheikh Khalid didn’t want to play along, it could not only destroy any hopes for reaching a region-wide peace deal, but it could also hurt American relations and interests throughout the Middle East, they argued. Tensions were already high between the US and the UAE owing to the deaths of two Emirati citizens at the hands of a CIA agent covertly operating in Dubai the month before. The UAE was one of the few stalwart allies America had left in the region, and neither Molina nor Talquin would sign off on any plan that might undermine whatever trust remained between the two nations. But neither of them was on the ground every day, seeing the growing tension and increasingly bold attacks against the isolated Jewish nation, feeling the aftershocks of the countless brewing conflicts between Sunni and Shia, between frustrated extremists of all stripes. She was daily confronted with stark evidence that the status quo could not hold for much longer. So, for the first time in her professional life, she was disobeying a direct order from her superiors. She was flying to Dubai to talk with Sheikh Khalid, face to face. She didn’t pretend that this would be an easy endeavor. The Middle East was a man’s world and, despite Western nations’ attempts to be more progressive by pushing female appointees to ambassadorial roles, the truth was that many opportunities were closed to her simply because she was a woman. It could be hard to negotiate with foreign diplomats whose culture for centuries had taught that women were second-class citizens, mentally and morally inferior to their male counterparts. And while Israel was among the more forward-thinking countries in the region when it came to gender-equality, the nations and communities with which Israel held its tenuous armistice generally were not. Moreover, she didn’t even have an appointment to speak with the sheikh. Advance notice of such an unorthodox request would give Khalid time to contact Talquin or Molina about her visit, and that could prove a death knell for her mission. Better to ask forgiveness than permission, she rationalized. The tractor-trailer switched lanes and went around their black Audi, but the rest of the motorists that afternoon wanted to get to their destination just as badly. Rick had been driving her since her appointment to the post three years ago, and he had proven more than adept at maneuvering through the often unpredictable streams of traffic in cities from Beirut to Baghdad. Even now, in rush-hour traffic, he was making good time while still maintaining his cool. Allowing for traffic, they would be at the airport inside an hour, and then she’d have another host of travel issues to inwardly complain about. A sheaf of documents sat on the seat beside Christine. She picked up the folder, paused in thought, and put it down again. She had gone over her notes from the most recent meeting with Prime Minister Shihmanter a dozen times already, as well as the casualty and damage reports, the latest briefings on the Palestinian situations in Gaza, the West Bank, and Golan Heights, and developing sentiments about the crisis from both the Israeli government and the Israeli public. She would likely be studying the reports during her upcoming flight as well, looking for an edge in her negotiations with Sheikh Khalid, demonstrating how peace in Israel and Palestine benefitted everyone. For now, her last few minutes on the ground for the next several hours, she simply looked out the window, enjoying the scenery, even if most of it at present was bumper-to-bumper traffic. She glanced at the drivers and passengers of the cars next to hers. Cairo was a massive city, a metropolitan area home to more than 80 million people. Millennia of history, from the Pharaohs to Alexander the Great to the heyday of Coptic Christianity to the rule of the Calilphs, the colonization of the British, and the rapidly changing span of the twentieth century. Her own ancestry had once found refuge from famine here, then had to rely on Yahweh’s wrath and mercy to extricate themselves from slavery. The infant Christ had been hidden here from Herod’s massacre of the innocents. And yet, as her mind did now, her ancestors had always returned to Israel. Still staring out the window at the glut of Egyptian traffic, she found herself reflecting on her ancestral homeland, where a similar commute to the airport had taken place less than 48 hours ago. As Rick had navigated the evening traffic through the Tel Aviv streets, she had studied the faces of Israeli citizens driving home from work, from the store, to their families and their lives. Tel Aviv was a modern city, yet it continually lived under the shadow of fear. It was perhaps unique in the world today, excepting isolationist rogue states like North Korea, in that all its neighbors either barely tolerated its presence or called for its outright destruction. And the Palestinian question was one of the major catalysts for anti-Israeli campaigns throughout the Middle East. Most Israelis simply wanted to live out their lives in their ancestral homeland. So did the Palestinians. The fact that that land was one and the same presented a no-win situation for two sides which refused to budge, particularly when Israel’s Muslim neighbors throughout the region continued to spew vitriolic rhetoric, calling for the young nation to be wiped from the map. Hackles were raised on both sides, as Holocaust denials and an absolute refusal to recognize Israel’s existence—even in textbooks or newspapers—by Islamic nations was met with Israeli muscle flexing as they bulldozed another Palestinian community or shelled another Hamas or Hezbollah leader’s neighborhood. It was a chest-beating, geopolitical shouting match that neither side could win. And so an ever-shifting stalemate had taken over, with occasional armed conflicts boiling over the borders into Lebanon, Jordan, Syria, and Egypt. Thus far, Israel had been successful in staving off attacks from without, but their policies toward Palestinian territories under their control had done little in recent years to endear them to the international community. The United States’ relationship with Israel had always been close, owing as much to America’s role in helping end the Holocaust as with its own Judeo-Christian origins and heritage. No matter what party controlled Washington and no matter what international sentiments were currently in vogue regarding the embattled nation, Israel had long been able to count on the support of the world’s number-one superpower. Part of Christine’s job as special ambassador to the region was not only to maintain this relationship, but also to ensure that American interests were represented properly. Right now, she felt that the relationship was going the other way. The sun was low in the sky, continuing its descent westward, Osiris’ daily death ritual, only to be resurrected at sunrise the next morning. The day after tomorrow she would be watching the sun rise over the Chesepeake, a glimmering spectacle of light and water that reminded her of everything she admired about the United States. Despite all the trouble the nation had endured over the past few years, from the War on Terror to the financial collapse to an increasingly divided populace, she firmly believed there was something special about America. She loved her country and what it stood for, and she loved its people, even when they had trouble standing for much of anything. But in her time in the region, her admiration for the Israeli people had also grown. Like Americans, they were resilient in the face of adversity. For better or worse, each modern nation had been built on the backs—and corpses—of those who had lived there before. And each nation’s citizenry was often held hostage to the overbearing policies and rhetoric of its government. The only problem was that here, those policies might well get the citizens killed. She turned from the window to face forward, just in time to see a passenger bus three cars ahead explode into a ball of flame. A split second later, the shockwave hit their car, jolting the vehicle and finally jarring Rick’s cool demeanor. “Off ramp,” Ben said, pointing to the beginnings of a clover leaf interchange to the right. “Fine, Rick, thank you,” she responded with a slight tremor in her voice. No matter how much violence she had seen during her time in the region, it still affected her. She supposed that was good, all things considered. It meant she wasn’t becoming desensitized and losing another part of her humanity. She watched the flames lick skywards from the shattered windows as the bus’s momentum carried it through a rolling crawl. She could swear she saw a face in a window, the skin half-melted, its expression twisted in agony. But then it was gone, replaced by billows of black smoke, carrying the stench of melted vinyl, nitrate fuel, and burnt human flesh. She shuddered and faced forward again as the off ramp took them out of view of the burning bus, flashing back again to a few days ago in Tel Aviv. The Israeli and Palestinian people were the real victims in a new cold war that was raging throughout the streets and villages of the Levant. Despite its rich history and natural beauty, the region had been stricken by war and conflict since its earliest historical accounts, from the armies of Joshua overtaking Jericho to the Israelites defeating the Philistines under King David; from the invasions of Israel by Assyria and Babylon to the final Jewish revolt against Rome in the first century AD. The conquests of Islam and the Crusades left the area in conflict for the better part of a millennium, and the dissolution of the Ottoman Empire after World War I and the area’s post-war British mandate forged the way for a modern-day Jewish state in the land that was once their forefathers’. But three full-scale wars and innumerable armed conflicts in its nearly seven decades of existence had shown modern Israel’s short history to be even more contentious and conflict-ridden than that of its forebears. Many of her more religious countrymen would find something prophetic in the conflicts affecting the region today, but while Christine believed that religion was a huge element in the equation—the land, and Jerusalem in particular, were sacred to the three great monotheistic religions, each believing it was “promised” to their tradition and must be kept pure in the hands of the faithful—she recognized the very human element to what was going on: power, territory, safeguarding your homeland. The problem was that those policies ran over other people who had very similar desires: the Palestinians. There were no easy solutions, she had long ago realized. If an elusive peace deal was ever reached, neither side would be completely satisfied with the results. For the better part of a century, Israelis had built homes, families and lives in this land. Before that, so had Palestinians. Uprooting either would only serve to further the injustices served upon these two peoples. And both sides wanted the whole pie. Though Israel was a nation friendly to the US, Christine had often been haunted by the probability that, one day, their unflinching support of the Jewish state would rope them into a massive and unwinnable war across the Middle East—possibly even spiraling into a third world war. Her religious countrymen would have seen something prophetic in that too. Armageddon itself was named for a battlefield in Israel—Har Megiddo—that was to be the site of the final battle between good and evil. However, as ambassador—and as a human being—her goal was to avoid a world-ending war whenever possible. When Rick finally pulled the car up to the VIP wing of Cairo International Airport, the sky had turned deep orange, with the setting sun’s power magnified by its reflection across the desert dunes to the west. Christine grabbed her folder, tucked it into her briefcase, and then exited the car. Ben retrieved her wheeled suitcase from the trunk, as well as his and Rick’s bags, and they made their way through the concourse and onto the tarmac, where the chartered flight awaited them. The Gulfstream was idling on the pavement with its runway stairs lowered for entry. Beside the stairs, an anxious-looking young man in a blue shirt and red tie was hopping from one foot to the other, as though he was trying to stave off an impending trip to the restroom. When Christine drew closer, she recognized the man as Dennis Moore, a courier employed at the American embassy. “Madam Ambassador, a package came for you. Marked urgent. I was instructed to get it to you before you left the country.” Moore handed her a padded manila envelope with the embassy’s address written in poorly scrawled English. “This has been screened already?” asked Ben, always the more brash and outspoken of her bodyguards, as he plucked the envelope from her hand and held it at arm’s length away from her. “Yes, sir, it has,” Moore nodded hastily. He seemed to be breathing a little more slowly now that he had managed to make his delivery on time. “Thank you, Dennis,” Christine said with a smile. Even at forty-four she could still turn heads and she recognized the gleam in the courier’s eye as one she had seen in the eyes of countless men before him. “Now, if there’s nothing else, we need to get going. The president awaits.” A small lie, as she was sure she would be flying back to Washington to meet with Talquin as soon as Sheikh Abdelrahman voiced his support for the peace deal—and hopefully not before. The mention of the president seemed to jerk Moore back to reality. Perhaps he was a little starstruck, too. Not many people, after all, were able to get a private audience with the most powerful man in the world. “No, ma’am, nothing else.” He stepped back and gave her a little salute, but then screwed up his face and turned away, kicking himself inwardly since hers was not a position to which one salutes. Still, the kid was cute. She gave him another smile as she began to climb the stairs. He got an A for effort. Two minutes later, she had settled into her seat, their bags stored in a closet at the front of the plane. Rick was adjusting his headphones as he prepared to watch The Bourne Ultimatum for the millionth time on his portable DVD player. Ben, who had been chatting with the pilots up front, returned to his seat as the plane’s engines whirred to life. He would likely be burying himself in Brad Thor’s latest thriller for the duration of the flight to Dubai. Dan, meanwhile, stared at his hands while biting his lower lip. He didn’t like flying—or the take-off and landing parts, at least—and he had voiced his concerns about going behind the president’s back on this mission, which she had noted. It was his job on the line too, after all, but Christine believed what they were doing—what needed to be done—was bigger than any of them. Hopefully, Dan would look back on this and realize that the risk was well worth the return. Christine took a deep breath and sighed to herself. She was on the way at last, heading for what could be one of the greatest strategic coups of her career. The plane accelerated down the runway, and she felt the wheels leave the tarmac as they ascended into the sky. She shook her head in disbelief. She knew she had to verify whatever information was on the memory card, but her hands quivered with fear at what sort of terror-laden rabbit hole she had stumbled upon. These allegations, if voiced without the requisite evidence to back them up, could destroy everything she and the administration had worked so hard for, perhaps preventing the chance for a comprehensive peace agreement for decades to come. But if the allegations were true, the consequences could be infinitely worse. Christine normally hated hyperbole, but she realized that it was no stretch to say that the she quite literally held the future of the world in her hands. 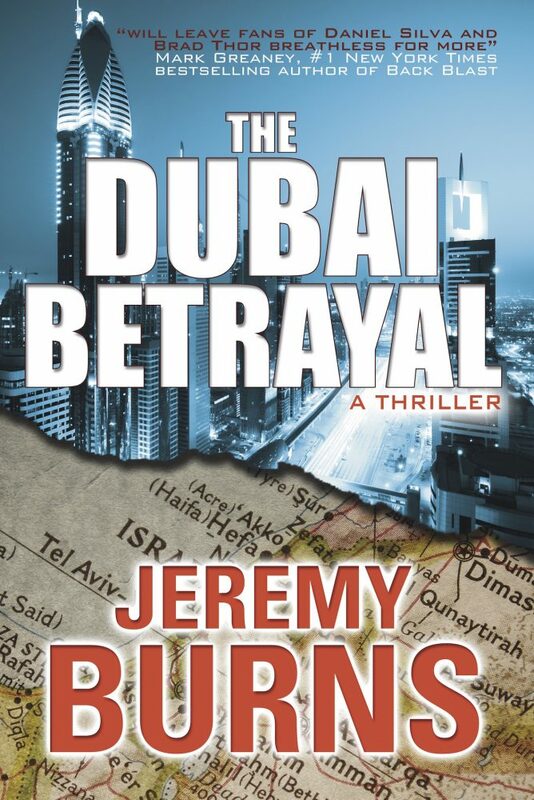 Jeremy Burns lived and worked in Dubai for two years, conduct- ing first-hand research in many of the locations featured in The Dubai Betrayal and immersing himself in a variety of Middle Eastern cultures. 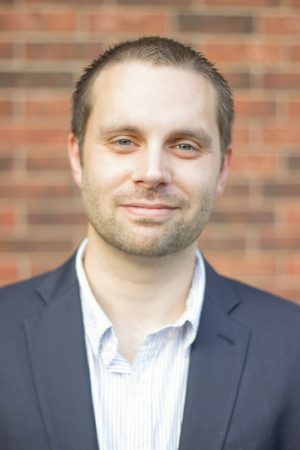 His first book, From the Ashes, introduced Wayne Wilkins and is a two-time #1 category bestseller on Ama- zon, with more than 95,000 total ebook copies downloaded to date. A seasoned traveler who has explored more than twenty countries across four continents, he lives in Florida with his wife and two dogs, where he is working on his next book. This book is on my TBR list, and after reading your review, it just got pushed to the top. Thank you for sharing.